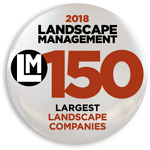 This is a full-time outdoor labor position in Raleigh, NC doing landscape maintenance on commercial properties. This is an hourly ($12-14/hour) position. This crew member reports and takes direction from the foreman/associate foreman.